We’re now two days away from the beginning of the 2013 college football season, which means it’s time for part nine of my Best of the Best series. This 10 article series will take a look at my top 10 draft eligible players in college football. This isn’t necessarily a prediction of where I feel they will be drafted, but more my thoughts on where these 10 rank against all other college players. While I fully expect all of these players to be top 15 draft selections next year, there could always be fluctuation with a premium placed on positions like Quarterback and Offensive Tackle. 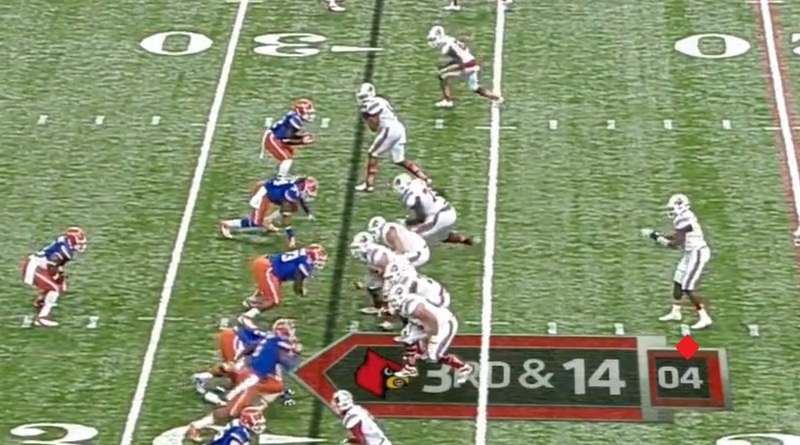 With that said, it’s time to look at my number two prospect, Louisville Quarterback Teddy Bridgewater. There may only be one Quarterback in my top ten prospects, but he’s a pretty special Quarterback. Bridgewater has good size, great arm strength, and excellent awareness on the football field. The Miami native earned the starting job as a true Freshman, and after an average year in 2011 became one of the best signal callers in the nation last year. While he may not have the flash and make the exciting plays that Johnny Football does, he’s the better Quarterback. He’s accurate, makes good decisions on the field, and has intangibles that you love to see from your Quarterback. So lets take a look at what makes Bridgewater so good. One thing that immediately stands out about Bridgewater is the level of toughness he shows. While you don’t like your QB to take unnecessary hits, sometimes they have to be willing to in order to make the play. Bridgewater is fearless in the pocket, always keeping his eyes down field, and never shying away from the incoming hit at the expense of making the play. On this first play, we’ll see Bridgewater roll out while watching his receivers down the field throughout their routes. Despite the Linebacker coming downhill to level him Bridgewater’s eyes stay down field, waiting for one of his receivers to come open. Bridgewater at this point knows he’s probably going to take the hit, but also is aware there is the opportunity for a big play. 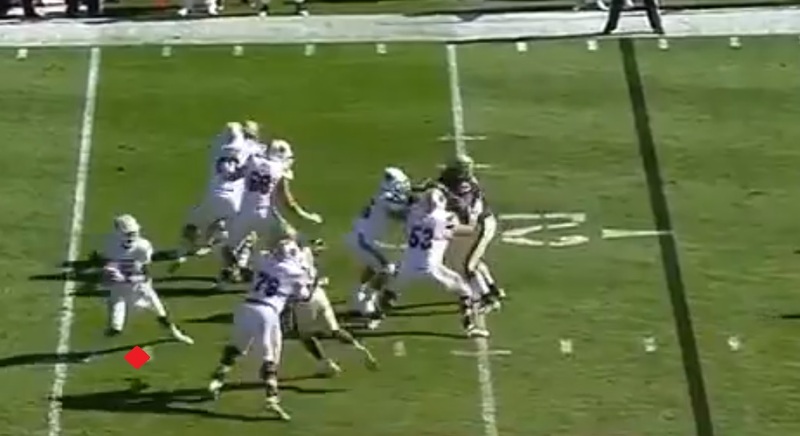 Bridgewater is able to get the pass off, but can’t prevent the vicious hit from the Linebacker. 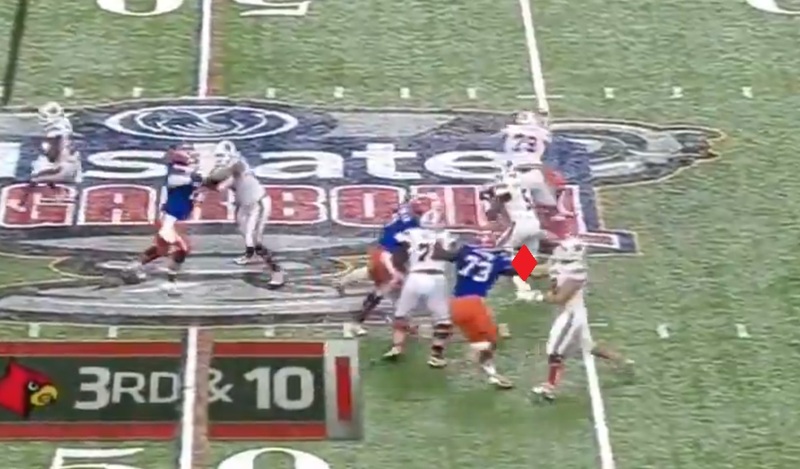 Another look shows us how hard the hit is that Bridgewater takes. The result of Bridgewater’s willingness to take the punishment in order to make a play, is a ball thrown where the Wide Receiver down field has a chance to make a play. 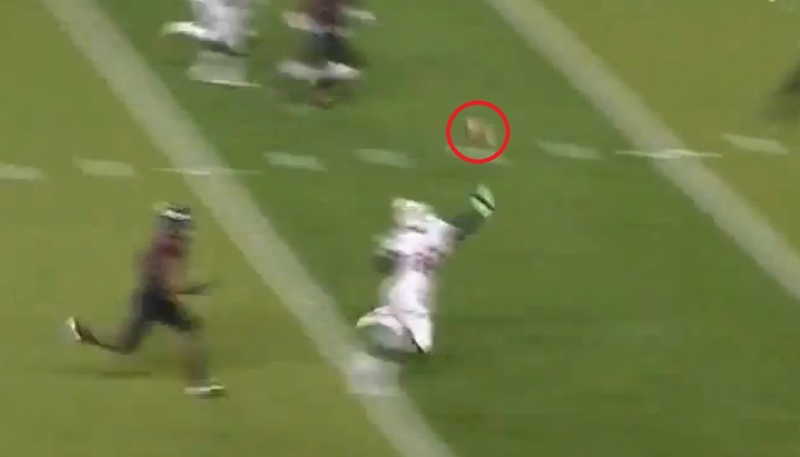 He ultimately drops the ball, but that doesn’t take away how good of a play this was by Bridgewater. Another thing that stands out about Bridgewater is the level of mobility he has for someone who is mainly a pocket passer. Not only can Bridgewater move around in the pocket to avoid the rush well, he also shows the ability to convert the down with his legs. 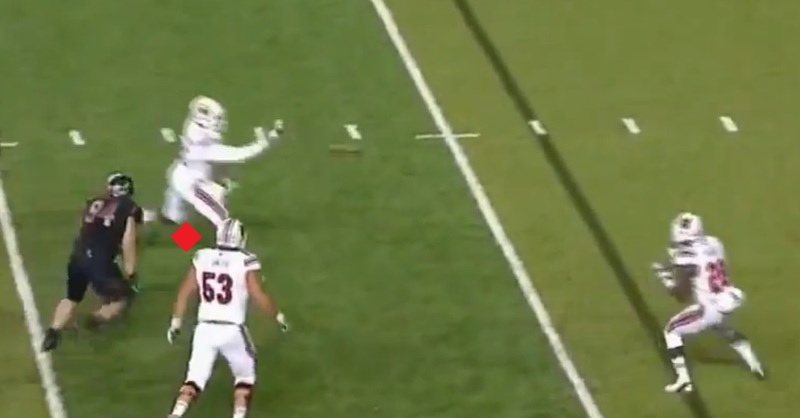 Here, we’ll take a look at Bridgewater’s mobility within the pocket. He will use his mobility to extend the play, and create an opportunity for a critical touchdown late in the third quarter. Bridgewater feels the pressure coming, but continues to keep his eyes down field looking for the touchdown. 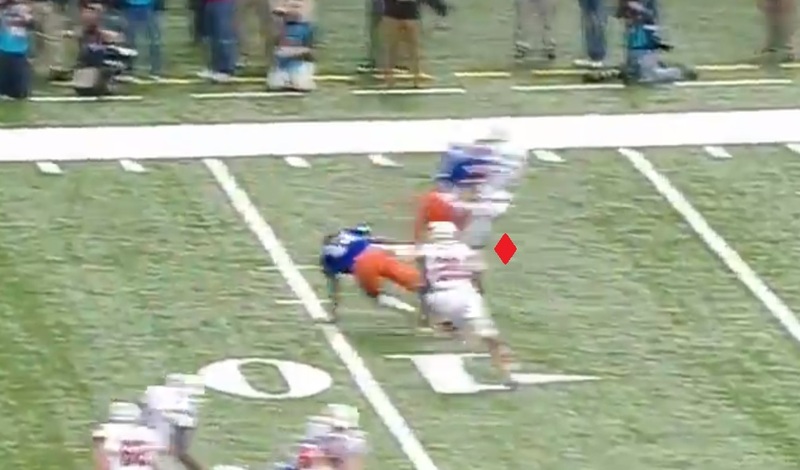 He shows good ability to evade the rusher and slides up in the pocket. By doing so, he’s able to buy himself a little more time to scan the field. 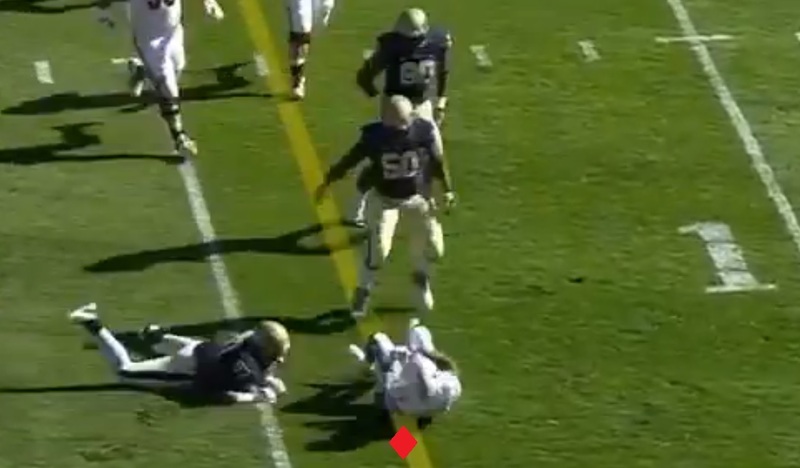 As he slides up he continues to go through his progressions and he sees the Running Back has some space in front of him. 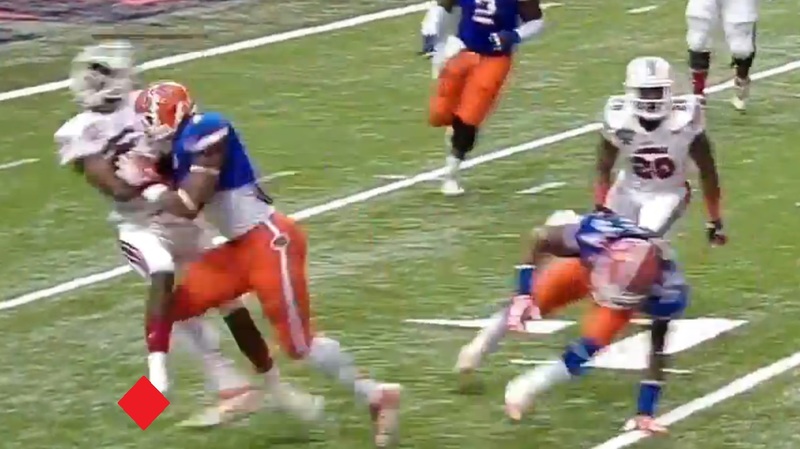 Instead of getting rattled and just tucking the ball and picking up what he can, he’s able to stay focused on the play and tosses it to the RB on the shovel pass. He’ll be rewarded for his patience and ability to extend the play with a touchdown. 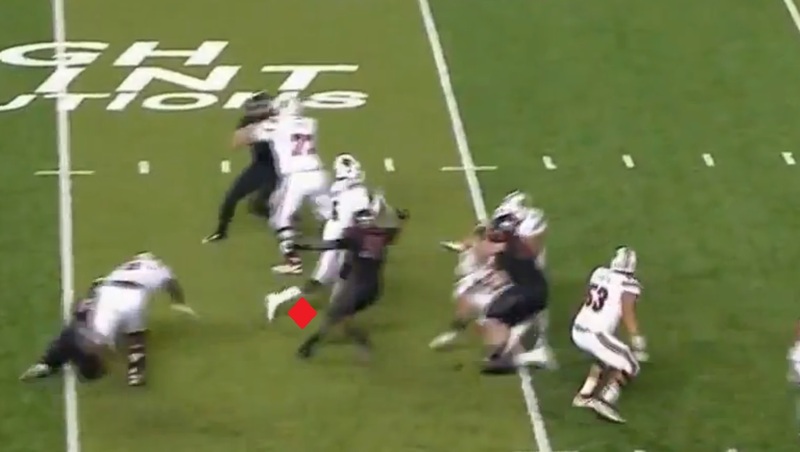 Here we’ll see Bridgewater feel the rush closing in, but this time instead of just extending the play he’s able to convert the down with his scrambling ability. 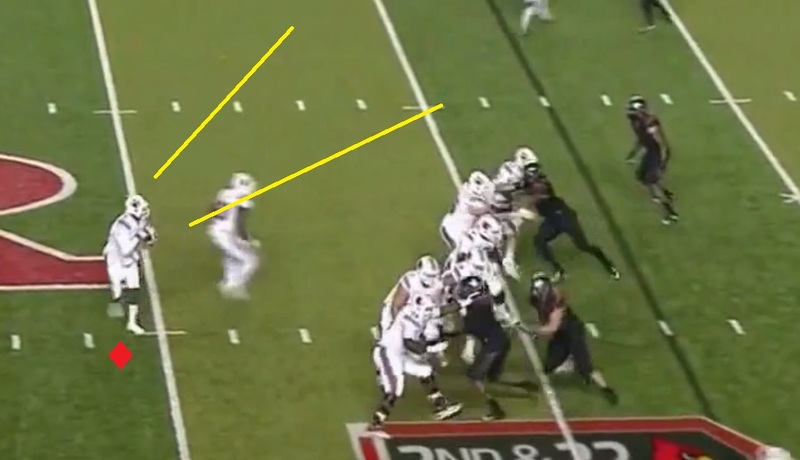 Once again Bridgewater feels the rush closing in and the pocket collapsing around him. 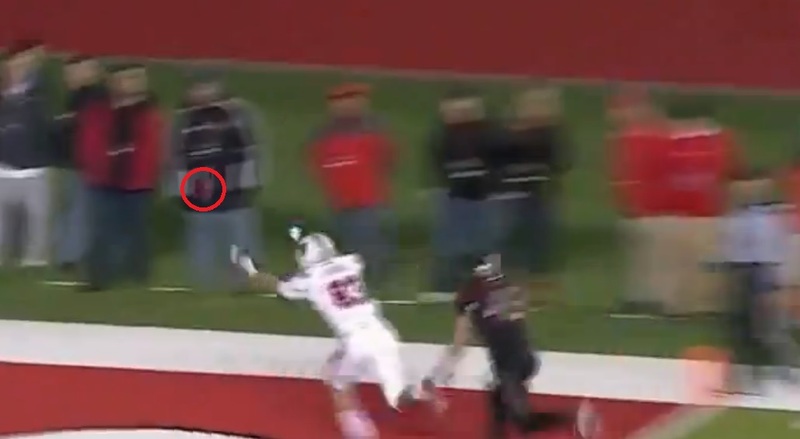 He still has his eyes down field on his receivers, but he’s going to have to extend the play somehow. 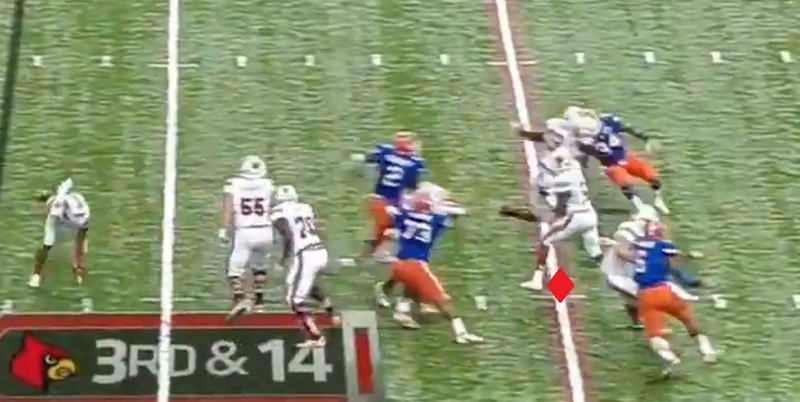 He’s able to step up in the pocket, and then escape to the right. 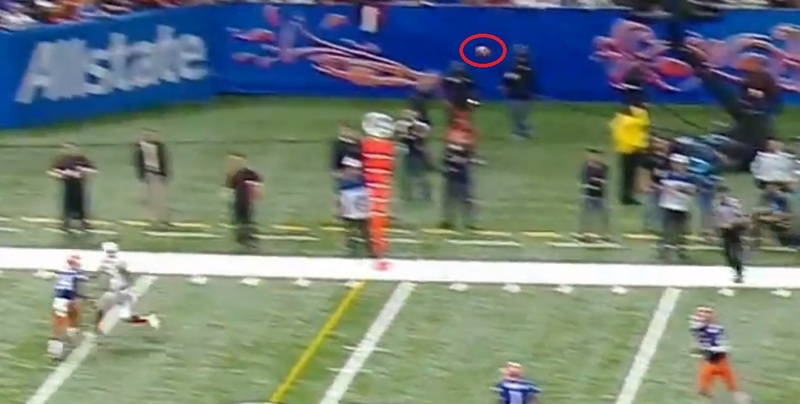 He still is scanning the field, but nothing is coming open. He has a decision to make, either tuck the ball and pick up what he can, or try and force something down field to a receiver. He tucks the ball and takes off. 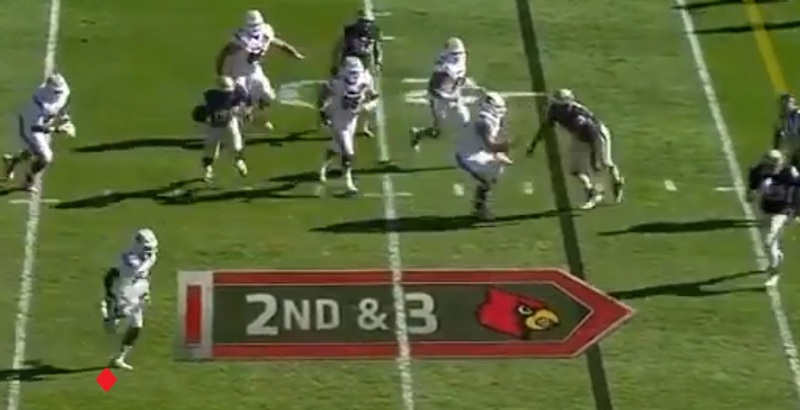 He shows good scrambling ability to not only pick up positive yards, but concert the down running the football. 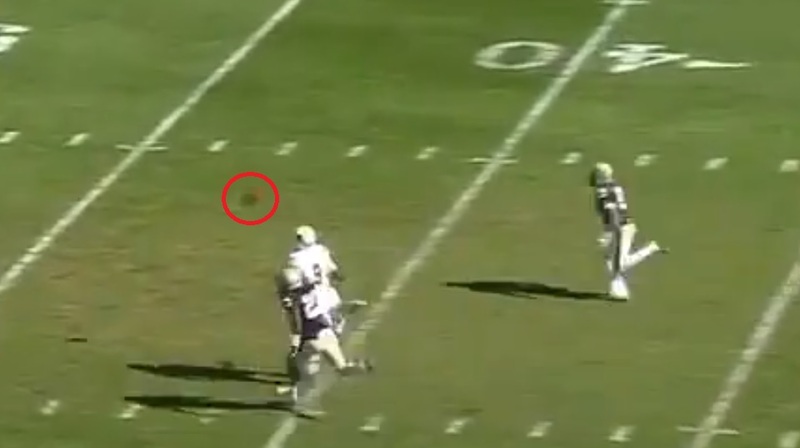 Again Bridgewater feels the pressure around him and decides it’s time to get out of the pocket. 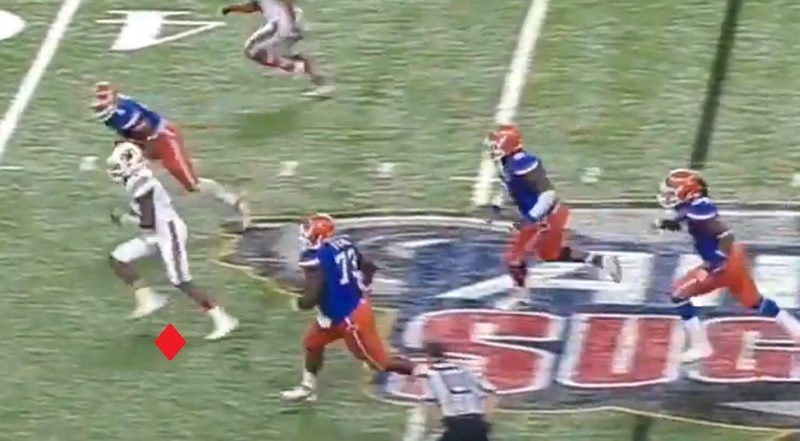 He does a good job moving laterally to get outside the pocket and away from the defense. 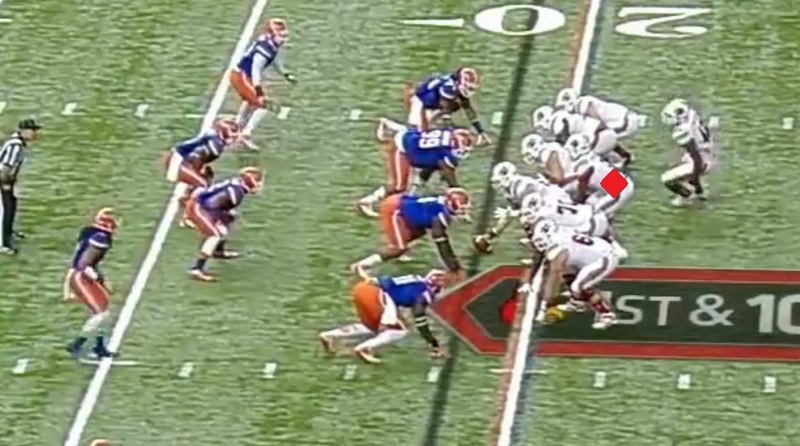 Once he has space again he gets his eyes back down field, and scans the field for a potential receiver. 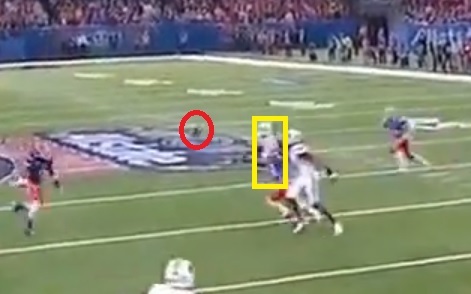 Not finding an open receiver he makes the smart play and tucks the ball to pick up the yardage to convert the down. At the end of the day to play the Quarterback position you have to be able to throw the football. There may not be a better thrower of the football in the nation then Bridgewater. He shows the ability to make all the throws on the field, and also demonstrates the ability to either gun the ball into a tight window, or take something off when he needs to float it in the air. Here we’ll see Bridgewater demonstrate good arm talent to put the ball where only his receiver can catch it on the corner route. 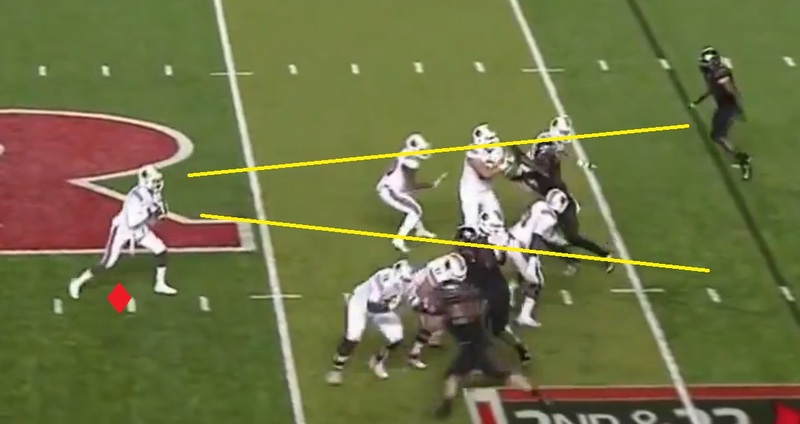 The Corner actually has pretty good coverage on the route, however Bridgewater trusts that he can not only lead the receiver into the catch, but also get the ball in quick enough that the CB can’t break. 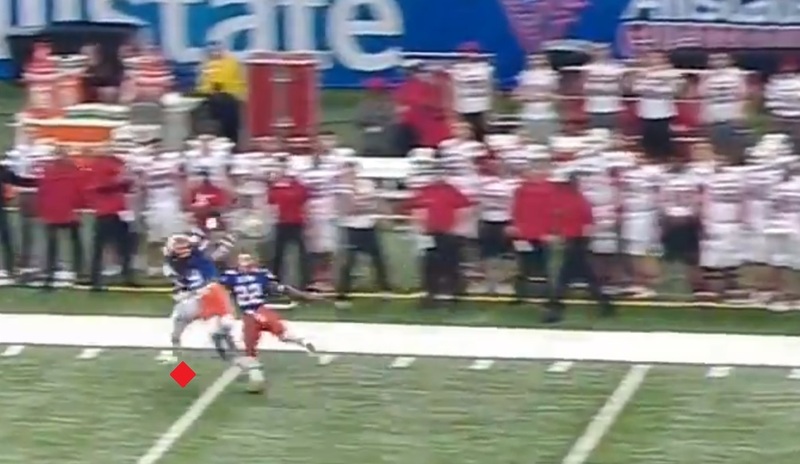 His throw gives the CB no shot to make a play on the ball, the Wide Receiver is catching it, or nobody is. He puts the ball right on the money, and the WR is able to catch it in stride and pick up a few more yards before being ran out-of-bounds. 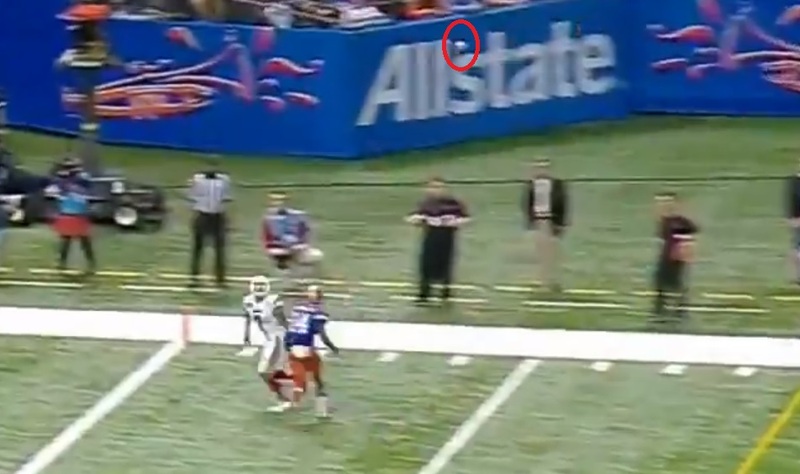 On this play against Florida, we’ll see Bridgewater be able to lead his receiver on the post. This allows the receiver to catch the ball in stride and pick up extra yards. 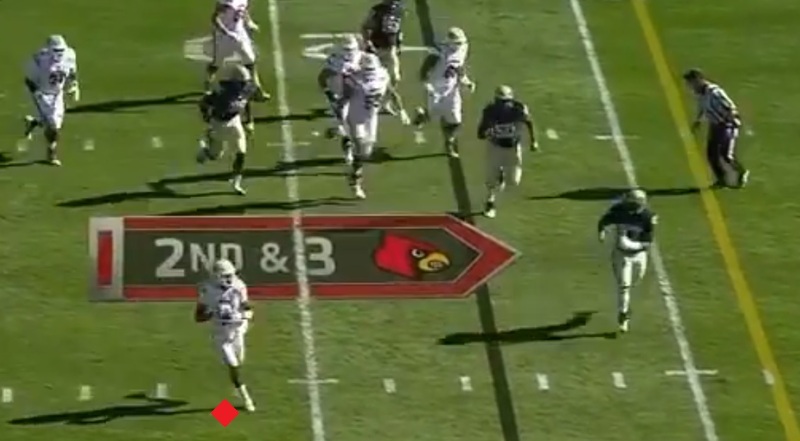 Bridgewater shows good ability to get the ball off under pressure. 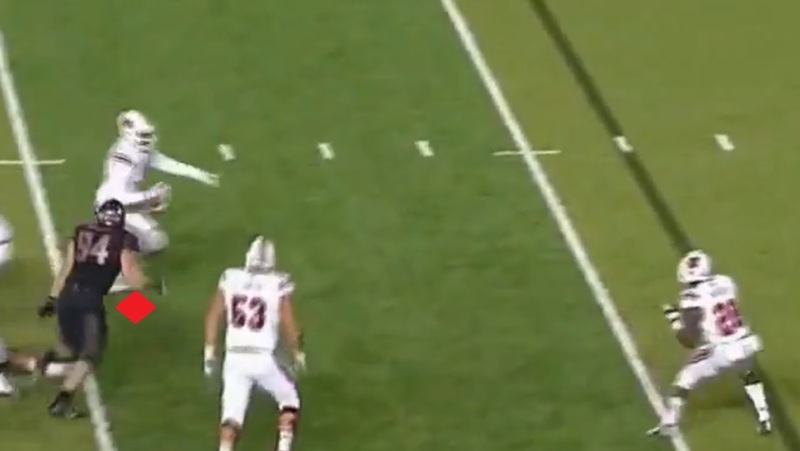 Not only does he get the ball away, but it’s going to be a perfect pass. 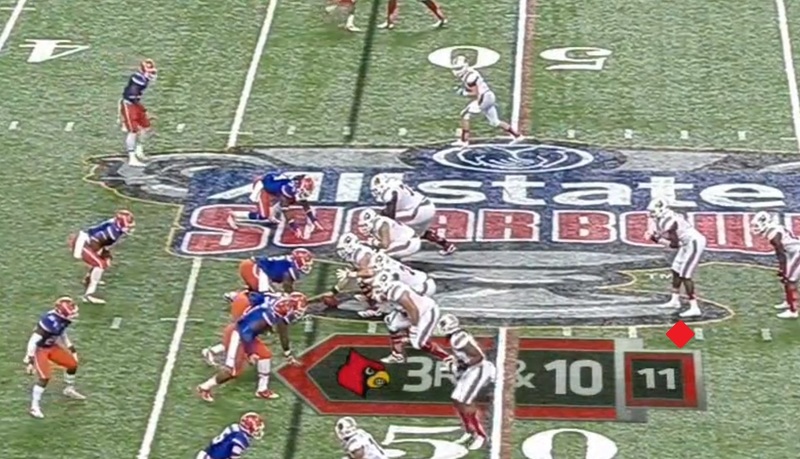 This angle shows us the pressure Bridgewater is under, as well as the coverage down field. 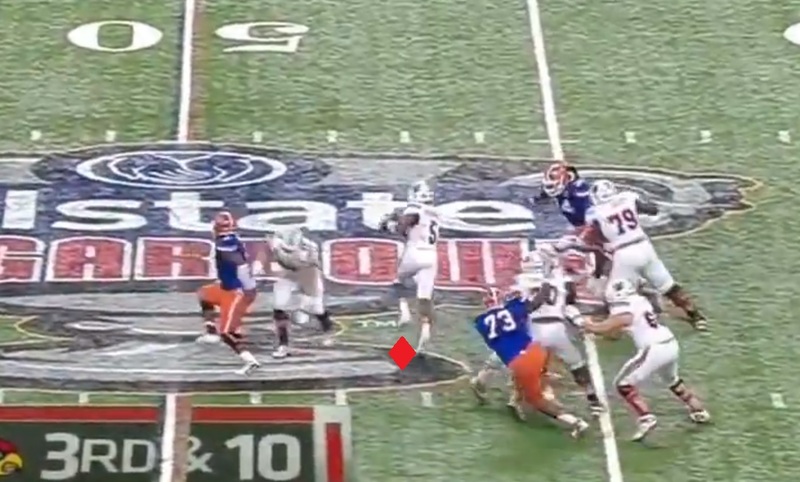 He has two defenders in the center of the field and will have to squeeze the ball between them to the intended receiver marked with the yellow square. 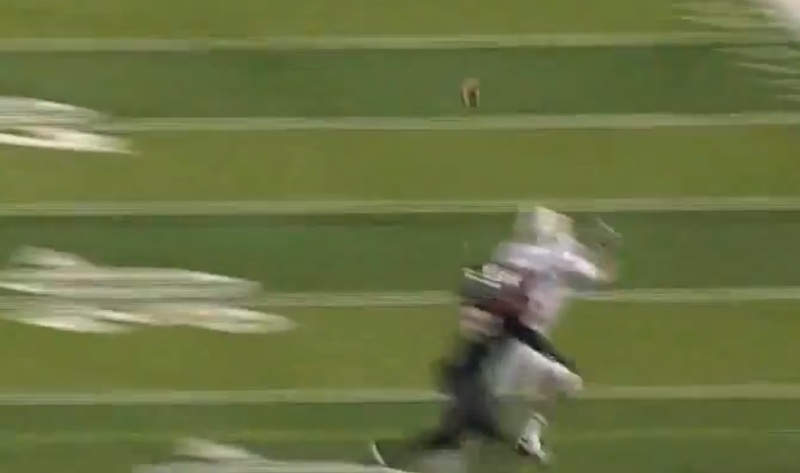 As the ball gets to the receiver you can see how well Bridgewater leads him. This not only allows the receiver to run into the catch, but also makes it impossible for the defender in front of him to make a play on the ball. The result is the receiver Eli Rogers is able to catch the ball in full stride, and create an even bigger play by not just picking up the first, but also getting a significant amount of yards after the catch. Without the throw being as good as it is Rogers is probably tackled immediately after the catch, and may not pick up the first. On this last play, Bridgewater shows the ability to take something off the ball in order to let the Wide Receiver run under it on the slant and go to the end zone. 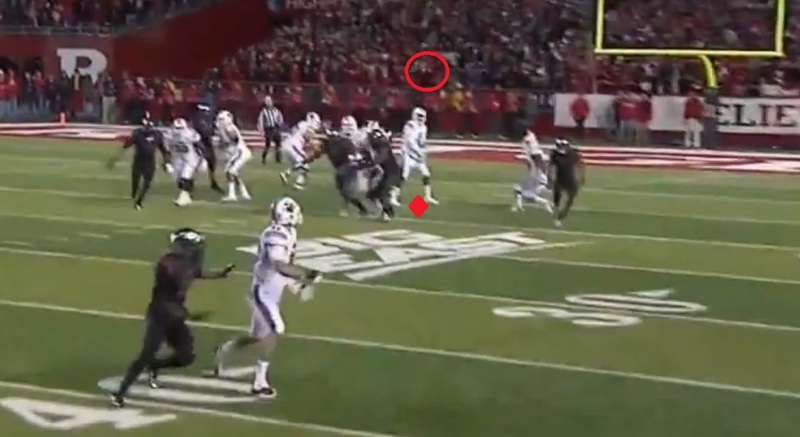 As Bridgewater is getting ready to release the ball the Wide Receiver is still behind his man. Bridgewater however has faith not only in his WR to run under the ball and make the play, but his arm to loft the ball up and give the WR the time to do so. 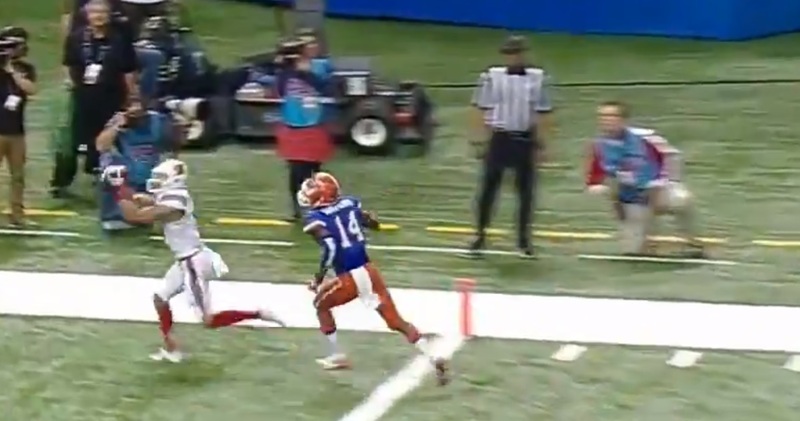 As the ball reaches it’s highest point you can see the Wide Receiver still hasn’t gotten by his man. The air Bridgewater puts under the ball though gives the WR ample time to get behind the Defensive Back who is doing a bad job locating the football. 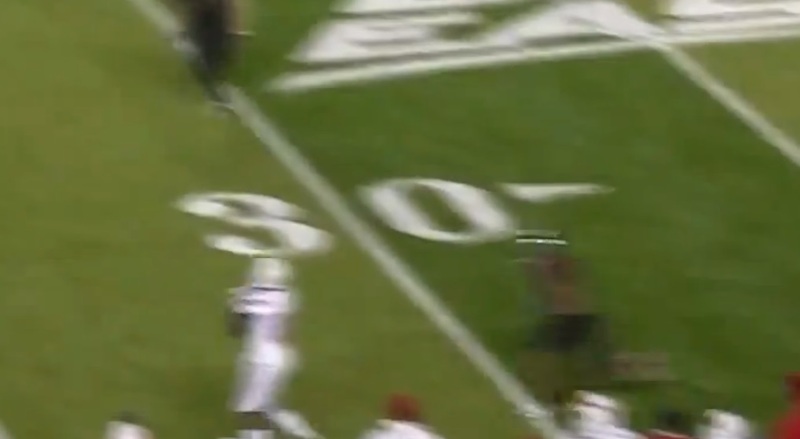 Bridgewater’s pass finally comes down, and the WR barely has to extend his arms out to make the easy over the shoulder catch for a touchdown. Bridgewater does an excellent job going through his progressions on the field. You hardly ever see him lock on a receiver, and when you do it’s almost always because they’ve been given a free release down field. 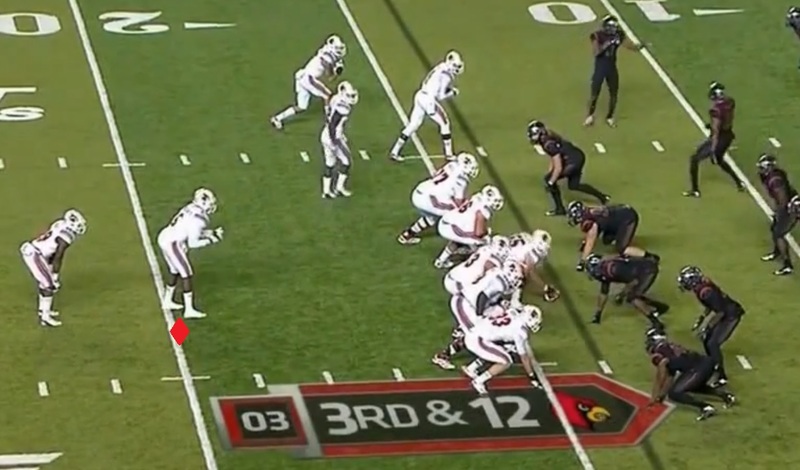 Bridgewater does a good job of quickly scanning the field. 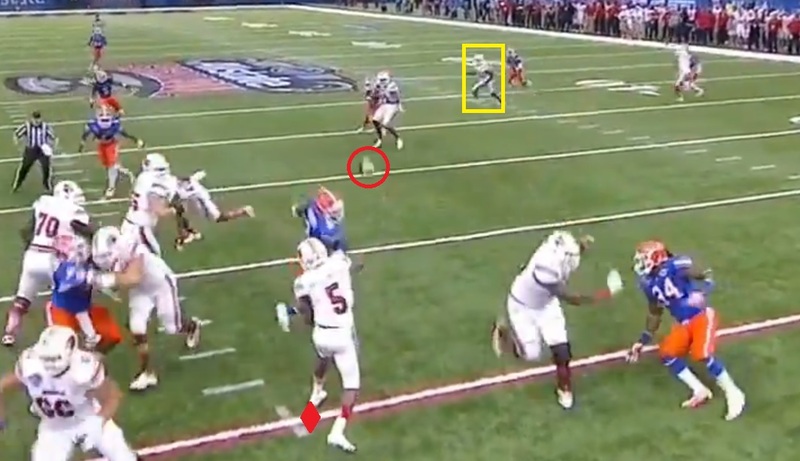 He goes from left to right across the field, looking for a receiver he can get the ball to. The result of his work is taking the safe play and living to fight another down. To be honest, I could have picked just about any of Bridgewater’s throws and showcased him going through his progressions, he’s that good at it. Not only does Bridgewater do a good job going through his progressions, he also has a feel for what the right play is. Even if it’s a check down for a minimal gain, or throwing the ball out-of-bounds under pressure, he usually seems to make the right play for his team. While every single player in my Best of the Best series has traits to their game that in my opinion make them stand out, they all have things they need to improve too. So let’s look at a couple of areas where I would like to see Bridgewater improve in 2013. Bridgewater is a pretty complete Quarterback, and the vast majority of his flaws are minimal and easily corrected. However there is one area where Bridgewater needs to make significant strides to become an elite Quarterback at the next level. While Bridgewater is a very accurate Quarterback and has the ability to make all the throws on the field, his deep accuracy is nowhere near the accuracy he has at the other levels of the field. He consistently overthrows open men on fade routes and double moves, and on deep curls he’s shown the tendency to said the ball. Bridgewater will have to correct the accuracy issues he has on deep throws in order to be the level of Quarterback he has the chance to be at the next level. 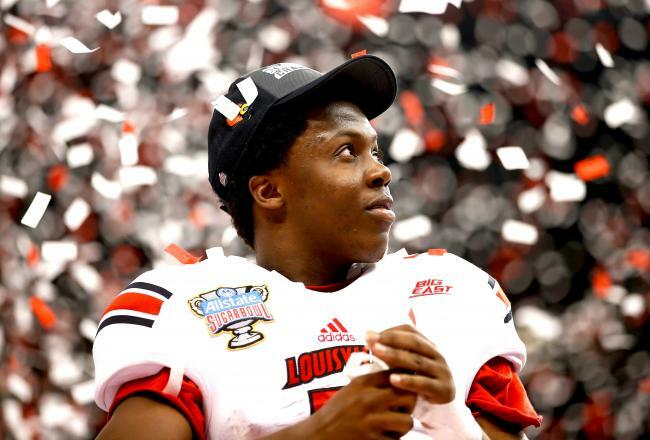 Teddy Bridgewater is far and away the most complete Quarterback in this class. He has good size at 6’3″ and has good arm strength. He’s a tough QB who’s not afraid to take a hit in order to make a play. On several occasions last year he put his body on the line in order to wait for the play to come open. 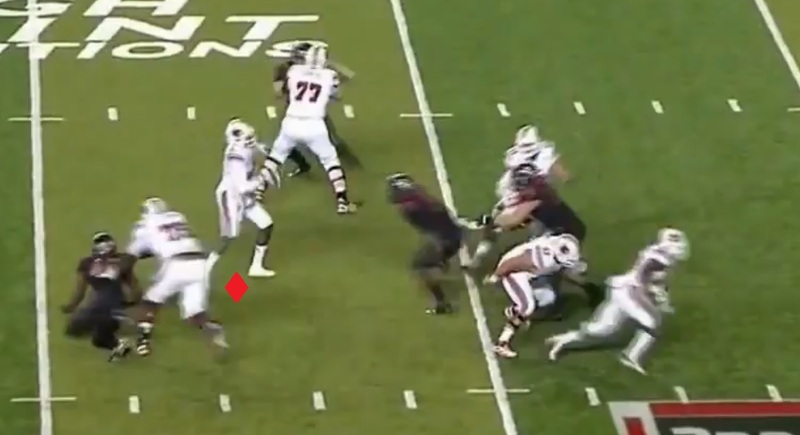 He’s got a good level of mobility, showing the ability to move around in the pocket to evade the rushers, and slide horizontally in the pocket with fluidity. He also has good mobility as a scrambler. While he won’t remind anyone of Michael Vick in the open field, he does have the ability to make a defender miss and convert the down with his leg. He’s a very accurate passer in the short and medium areas of the field, completing passes with ease at times. His game is extremely cerebral, showing how polished he is as a QB. 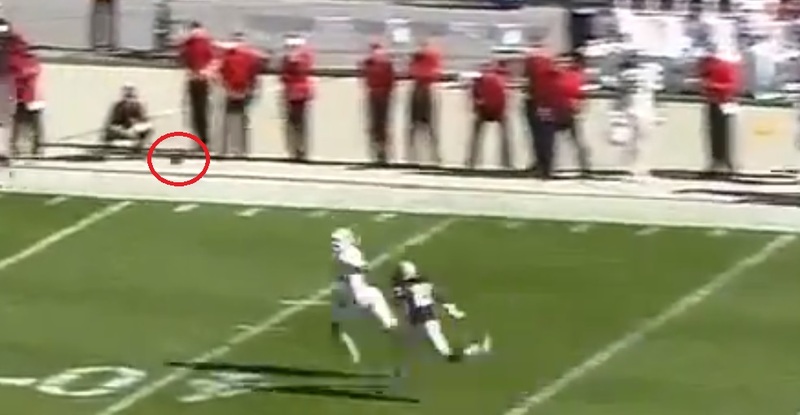 He seems to understand coverages, and knows how to look defenders off, and throw his receiver open by leading them. Bridgewater also does an excellent job going through his progressions, at times scanning the entire field before releasing the football. 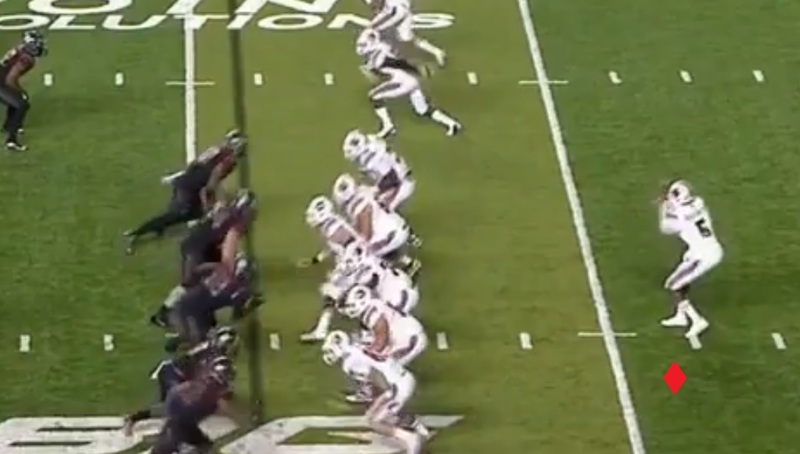 Not only does he make his reads well, but he’s an excellent decision maker in the field, almost always making the play that won’t hurt his team. There are some minor mechanical flaws such as an elongated release in his game that creep up at times, but it’s not enough to be worried about going forward in my opinion. 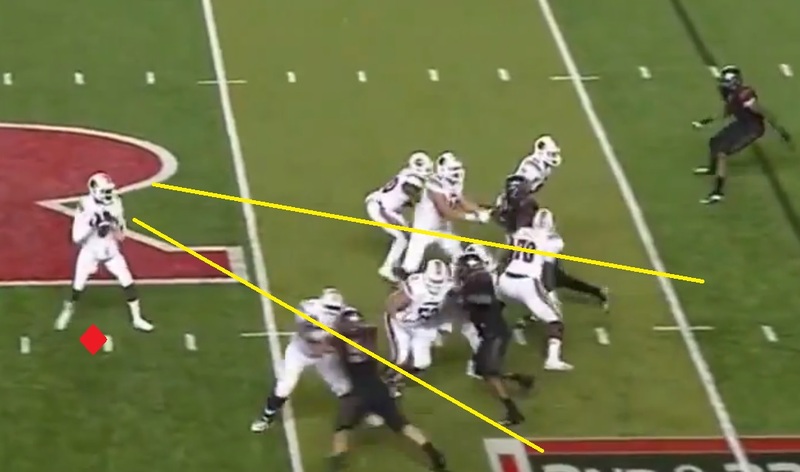 The one big issue for Bridgewater is his accuracy in the deep quadrants of the field, where he’s pretty hit or miss. If he can shore up this area of his game, and continues to progress at the rate he has his first two college seasons he could be special. Not only is a Heisman trophy a serious possibility for Bridgewater, but more importantly he has the tools to be an elite NFL Quarterback in the not too distant future.